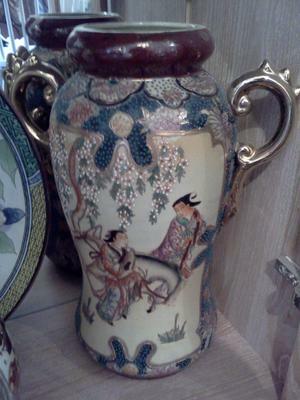 I have this par of large vases and, although Samurai style, am keen to find out more about them. 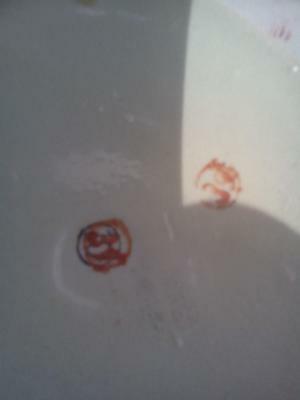 I have enclosed a picture of the marks but I have not seen these before. Maybe someone will know? They stand 36cm tall. 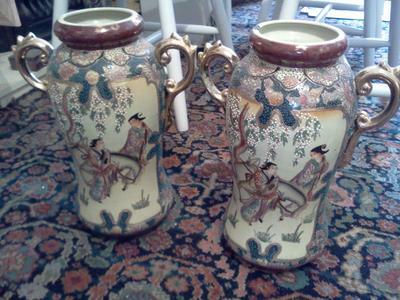 Comments for Any ideas on these vases? The motif and style looks Japanese. I am unable to tell if it is indeed Japanese or if it is a copy made elsewhere.